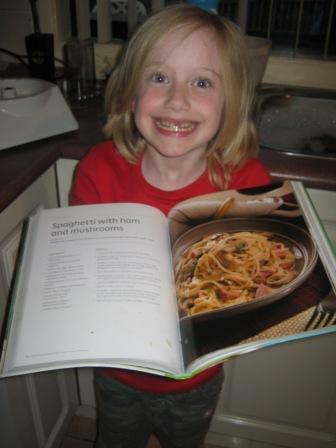 Mum had a new cookbook: The Aldi Cookbook. She said, "Girls, go and choose a few recipes to cook." So we looked in the cookbook. Imogen read out the dinner names. We all chose two recipes. 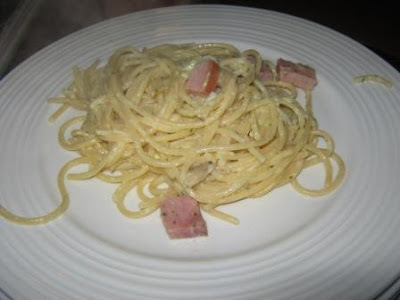 I chose "Cream of Chicken Drumstick" and "Spaghetti with Ham and Mushrooms." Mum, Charlotte and I went to Aldi to get all the ingredients we needed for our new dinners. The next day it was my turn to cook. I was going to cook "Spaghetti with Ham and Mushrooms." Imogen supervised, and read out the instructions. I cut the ham up with a sharp knife. 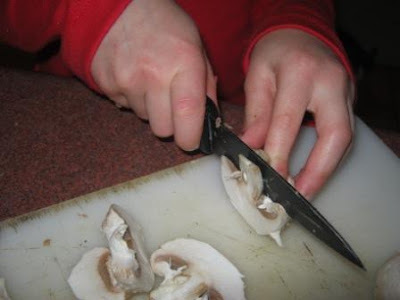 Then I cut up the mushrooms. I mixed some things together. Then I cut up the onion. It made my eyes water a little bit. I cooked the ham and the mushrooms and the onion on the stove. Charlotte cooked the spaghetti of me. When the spaghetti was cooked Charlotte drained it. Then we added cream, cheese, eggs, the ham, mushrooms, and onion. Imogen stirred it together for me. Then we had dinner. Imogen put the food on plates and I carried it to the table. Everyone loved it. We decided we had to have it again. I really enjoyed cooking by myself because I got to do everything myself. I want to cook more on my own. 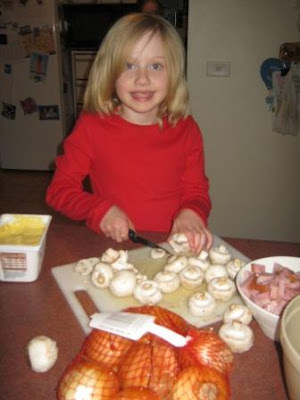 I like your cooking it looks very nice I am going to do some cooking.